More than 80 Stillwater Area High School students celebrated Manufacturing Day by visiting local facilities. The students, who take STEM classes at SAHS, got a behind-the-scenes look at manufacturing at Andersen Windows, Chandler Exhibits, MoldCraft, and Resolution Products. Students learned about the day-to-day functions of the businesses and saw many different types of machines in operation. They learned about the design and fabrication processes and how each department works together to bring projects to completion. They also got to hear from different workers about their career paths. For more photos visit our Facebook page. 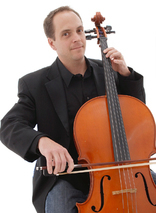 Orchestra teacher Kent Musser has been named “Outstanding String Teacher” by the Minnesota String and Orchestra Teachers Association (MNSOTA). Only one Minnesota school orchestra teacher is honored each year. MNSOTA says Musser was unanimously chosen based on his years of outstanding teaching and participation in MNSOTA programs for students, including multiple performances at their annual Middle Level Festival at Orchestra Hall. Musser teaches at Stillwater Area High School and Stillwater Middle School. 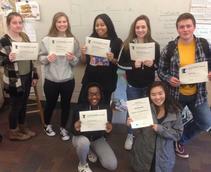 High school students won 25 awards at the Minnesota High School Press Association's State Convention. The Stillwater Pony Express newspaper and Kabekonian Yearbook took home six overall awards, including four Best of Show. Students also earned 19 individual awards for their work, including three first place winners. Read more. 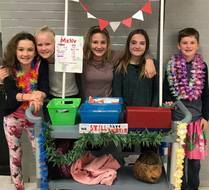 Stillwater Middle School National Junior Honor Society members Abby Anderson, Kiki Anderson, Sophie MacDonald and Ella Metcalf came up with the idea to create a Snack Shack as a way to help hurricane victims. They organized more than a dozen student volunteers, designed the carts, picked out healthy snacks, advertised the event, and ran the shop. In just two days they raised $552 for the American Red Cross. The school board will hold a business meeting for the purpose of taking action on a contract at 9 a.m. on Tuesday, Oct. 17 at Central Services. See official notice. The school board will have a special meeting on Thursday, Oct. 26 at 5 p.m. at Stillwater City Hall for the purpose of a closed session for attorney‐client privilege to discuss pending litigation. See official notice.